Cristiano Ronaldo is a father again! And this time, it’s a baby girl. 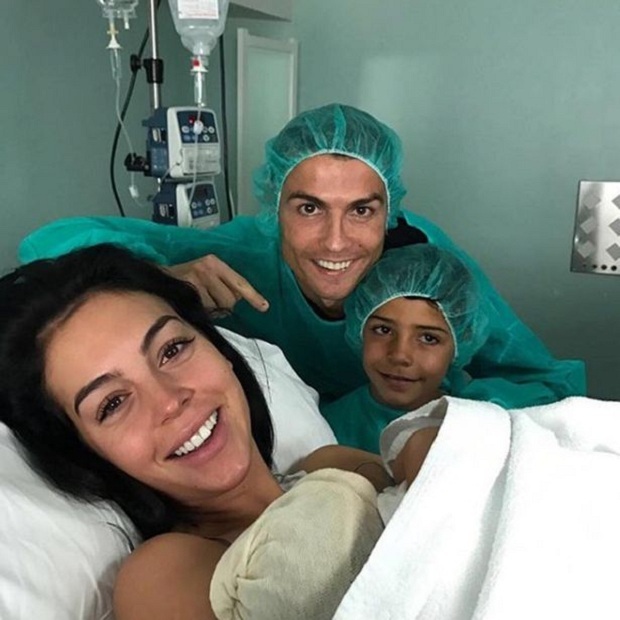 Georgina Rodriguez, who has been in a relationship with the Real Madrid superstar for about a year now, has given birth to the couples first child, a girl at Hospital Quiron Universal in Madrid, near Ronaldo’s house on the nearby gated VIP estate La Finca. The baby has been named Alana Martina. Both the mother and the daughter are doing well. With the birth of Alana Martina, Georgina has become a mother for the first time. 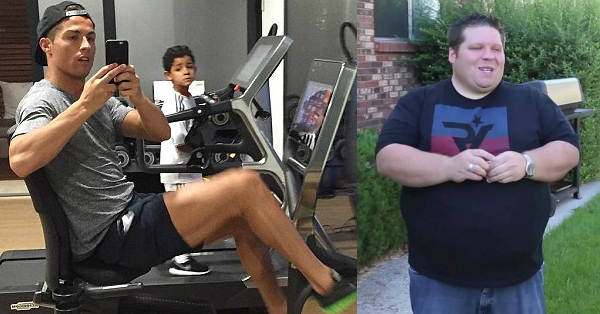 However, this is Ronaldo’s fourth child. 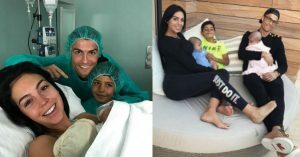 After Cristiano Ronaldo jr. who is 7 years old, and was born to an unidentified woman assumed to be either a surrogate or a former romantic interest in the soccer player’s life, Ronaldo welcomed his twins, born again to an unidentified woman, earlier this year. After that, speculations flew around about the pregnancy of Ronaldo’s current girlfriend, Georgina Rodriguez. The couple was unavailable for comments in this regard for a long time, until, in July, they confirmed the pregnancy, after Rodriguez was spotted in Ibiza, showing off her baby bump in a bikini. Earlier, it was believed that Cristiano and Georgina would welcome their child in October. The joyful news of this new addition to Ronaldo’s family came in the middle of recent claims by model and reality TV star Natacha Rodrigues that Ronaldo cheated on Georgina and slept with her in March. The allegations brought up by Natacha describe how she got acquainted with her after his breakup with Irina Shayk, but the couple allegedly spent the night after he was in a relationship with Gerogina. She has revealed more details about how she sent him her videos of herself, how Ronaldo texted her and invited her over, etc. But, it seems that these allegations have not been able to dampen the spirits of the new parents. 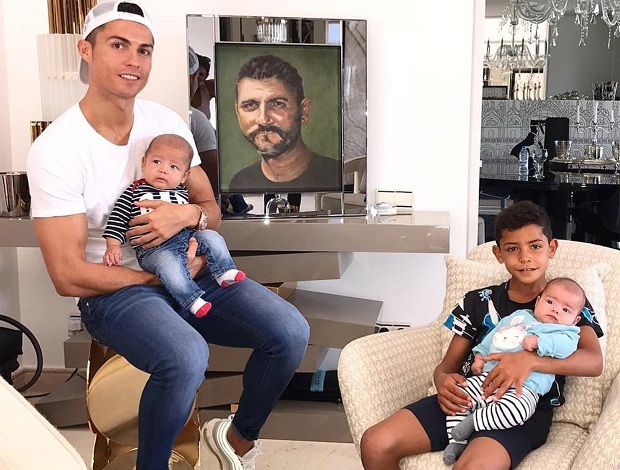 Only last week, Ronaldo said in an interview that fatherhood has changed his life, and set him on a unique personal journey. It has softened him, and taught him new things about love and life that he never knew existed. He considers it a privilege to watch his family grow, spending time with them, laughing and sharing wondering memories. CHAMPIONS LEAGUE – Relegated to eight points of Barça in Liga, beaten Tuesday night in Wembley against Tottenham (3-1), Real Madrid is in the hard. Always so cash when he speaks to the press, Cristiano Ronaldo pointed to the lack of experience of his team version 2017-2018. The new recruits of Real Madrid will appreciate … even if in the background, the Portuguese is not wrong. 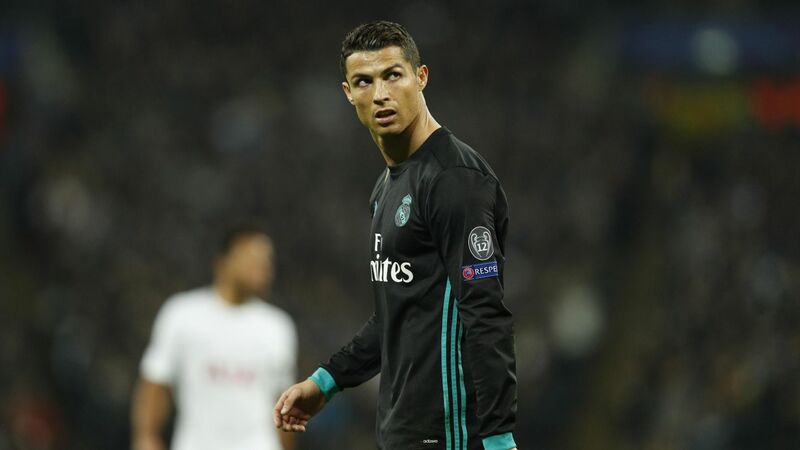 Present in the mixed zone following the 3-1 defeat of Real Madrid in Wembley , Cristiano Ronaldo tried to justify the bad pass that crosses his team by his lack of experience following the summer transfer window. The only goal Merengue of the game against the Spurs, his sixth this season in the Champions League, the Portuguese has also been questioned about his lack of efficiency in Liga (1 goal since the beginning of the championship). And the Portuguese did not like: “All is well, I’m very quiet about that, make a good game now, it does not interest you any more (talking to reporters). and the statistics speak for me, I’m not going to talk about it any more, just tap Google “Cristiano Goals”, it’s all there. 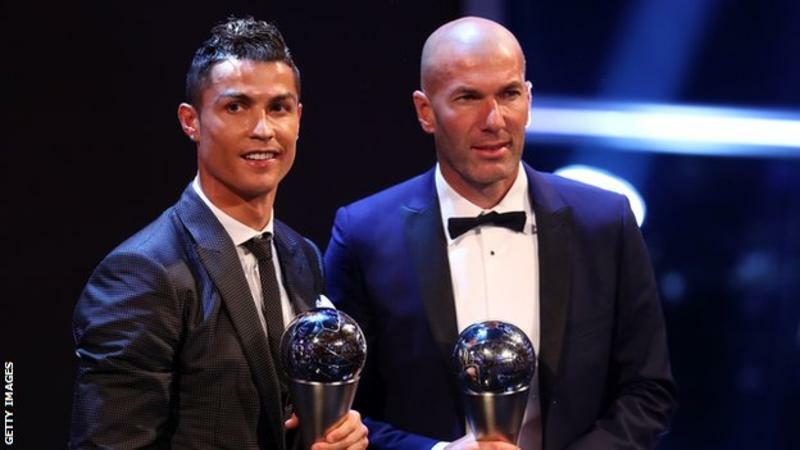 Cristiano Ronaldo was named the world’s best male player at the 2017 Best Fifa Football Awards in London. Celtic won the fan award after they honoured the club’s 1967 ‘Lisbon Lions’ with a stunning 360-degree card display on the 50th anniversary of their historic European Cup win. Voting for the player and coach categories was by national team captains and managers, selected journalists and, for the first time, an online poll of fans. Each accounted for 25% of the total. “We are in England for the first time, and I win it for the second consecutive time. 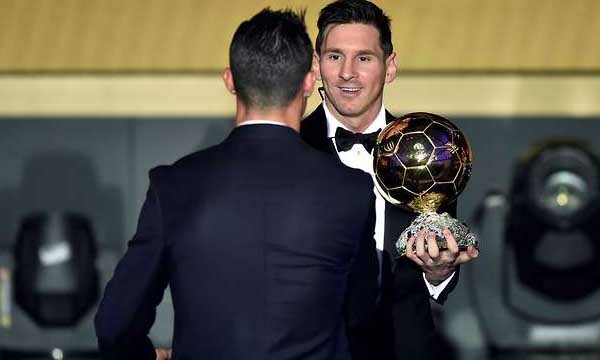 This is a great moment for me,” Ronaldo told the ceremony audience at the London Palladium. Netflix has completely replaced the cable and is the emperor of modern prime time television watching. 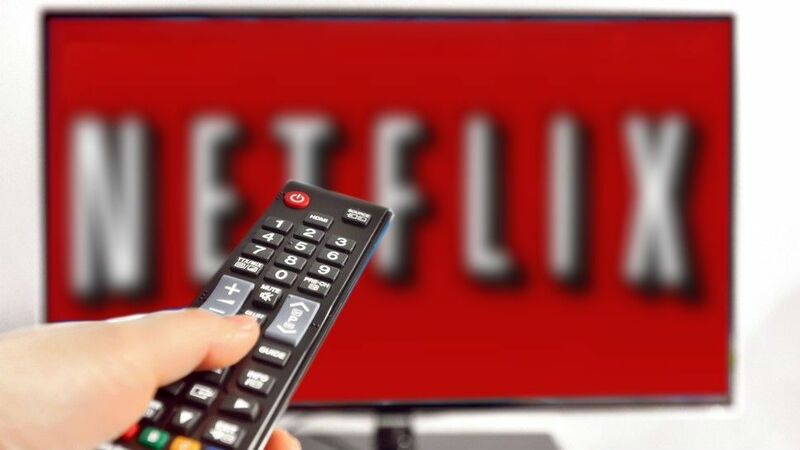 Netflix and chill is a growing meme and that is because of the popularity of this network. This site, much like a lot others … has a lot of television series and movies that one can watch for a minimal cost. It is much convenient as this can be loaded to any device unlike the cable. However if you recently purchased a subscription and don’t know what to watch on it… here are the Top 10 Netflix Shows 2017, that you must watch. These series have not been released in 2017, but we are writing 2017 in the sense that till 2017, these are best ones you could watch. So without further ado, let’s get started shall we ? This list consists of all the best shows Netflix has given us. Majority of these are Netflix originals and are amazingly mind-blowing to watch. Read on to know more. 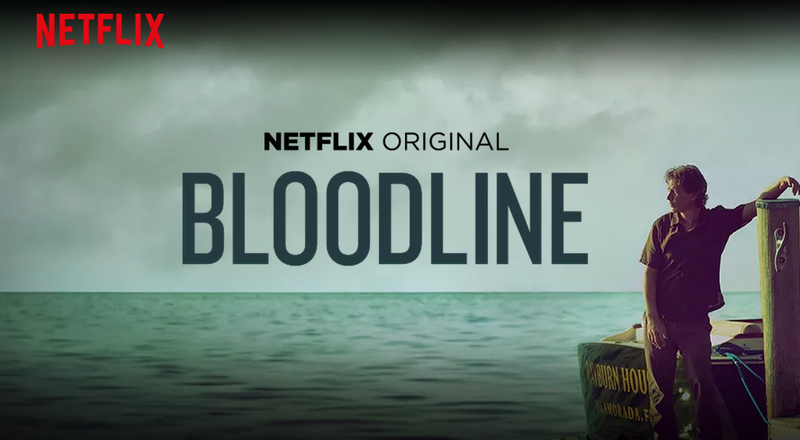 At number 10 in this list of Top 10 Netflix Shows 2017, we have Bloodline. This one on the lost is one of the Best 10 Netflix Shows 2017. This one can be classifies as a thriller drama series . The creators of this series are Todd A. Kessler, Glenn Kessler, and Daniel Zelman namely. This series came out in the month of February in 2015 and instantly became national favourite. However, it was not until late march that it was aired on Netflix. It has has two seasons so far with the third season been discussed . We can say that the first season was better received than the second one . At number 9 in this list of Top 10 Netflix Shows 2017, we have Iron Fist. This one on the lost is one of the Amazing 10 Netflix Shows 2017. Fans of martial arts, mystery fiction as well as action can gather around as this series is about to blow your mind. 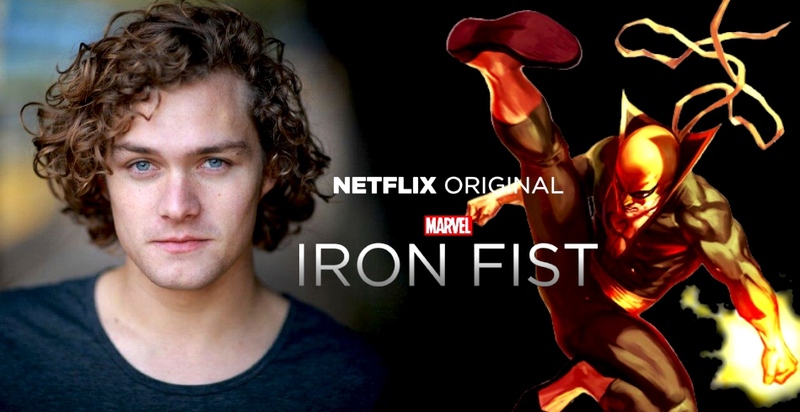 The creator scott buck has brought to us the television series which is based on a marvel comic character of the same name and it has not disappointed people. The original comic was created by Roy Thomas Gil Kane and now resides as a successfully and popularly watched television series. At number 8 in this list of Top 10 Netflix Shows 2017, we have A Series of Unfortunate Events. This one on the lost is one of the Awesome10 Netflix Shows 2017. The words, Neil Pattrick Harris. He owned the show with his brilliant acting . The story is rather depressing and the audience are warned ahead of time to ‘go watch something else’ as it is going to be nothing but depressing. Well curious little minds of ours crawl back to the series until the end anyway . 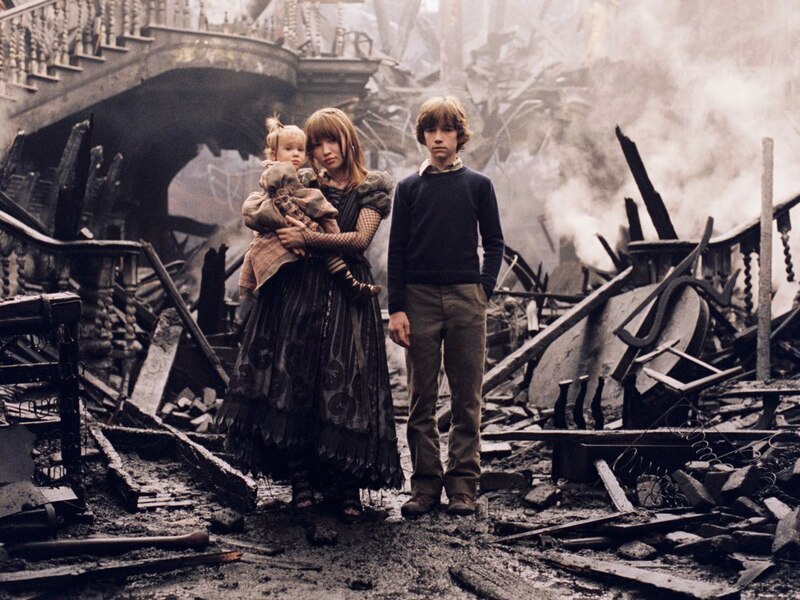 A Series of Unfortunate Events still remains one of the classics that Netflix has come up with. At number 7 in this list of Top 10 Netflix Shows 2017, we have House Of Cards. This one on the lost is one of the Top 10 Netflix Shows 2017. This genre can be called a political -ish genre. It is one of the well-received tv series of all times . It has had 4 seasons of which all are available on Netflix right now . 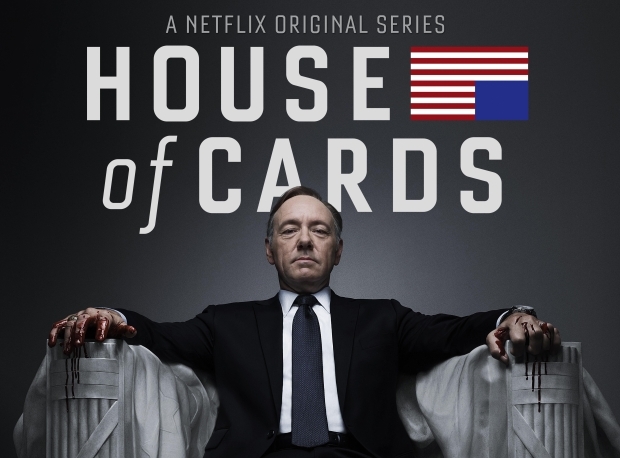 Kevin Spacey, Robin Wright, Kate Mara, all are part of this amazing series. If you seek a political drama to watch, nothing can be better than this one . 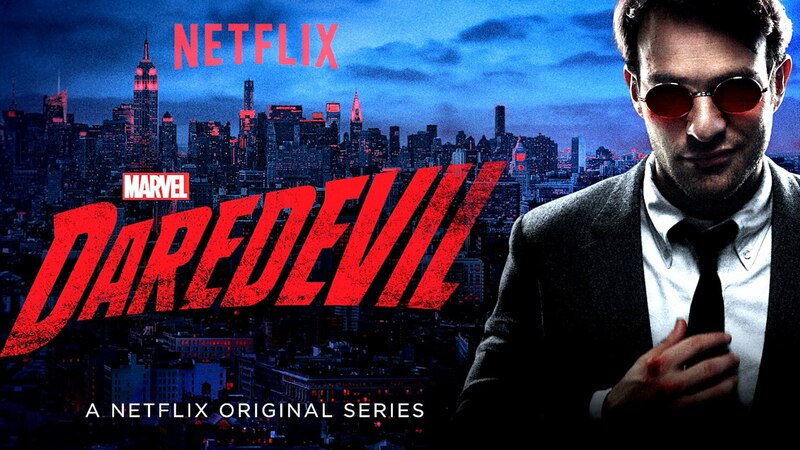 At number 6 in this list of Top 10 Netflix Shows 2017, we have Marvel’s Daredevil. This one on the lost is one of the Remarkable 10 Netflix Shows 2017. This one is a marvel original and has been recently added into the watchlist of Netflix. If you missed to watch this series on television, it might be perfect to watch it on Netflix now . The superhero who can take a punch is on the rise as the world continues to suffer from injustice and crimes. He is there to save them all and he is badass at it . At number 5 in this list of Top 10 Netflix Shows 2017, we have Narcos. This one on the lost is one of the Splendid 10 Netflix Shows 2017. From the interesting minds of creators Chris Brancato , Carlo Bernard ,Doug Miro comes this damn amazing series called NARCOS. This is a biographical crime thriller genre which was amazingly famous in recent times. It did not take long for people to get hooked on this amazing series that dealt with the underground world of Pablo Escobar . He was the ultimate king of the drug lords and a story like his demands to be seen . If you are looking for a change in taste, this can be the perfect show to watch. 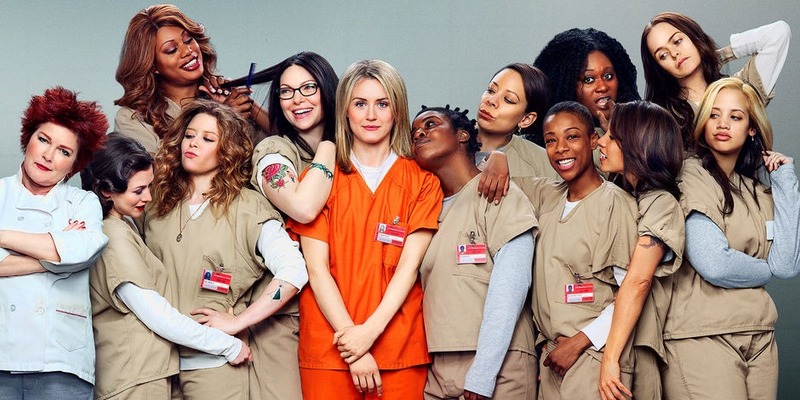 At number 4 in this list of Top 10 Netflix Shows 2017, we have Orange Is the New Black. It has gotten Emmy nominations in both comedy and drama categories. This one on the lost is one of the Top notch 10 Netflix Shows 2017. This one is based on Piper Kerman’s memoir, Orange Is the New Black: My Year in a Women’s Prison which released in 2010. The series received four Emmy nominations For its second season. It is an absolute fun show to watch and has millions of fans worldwide. 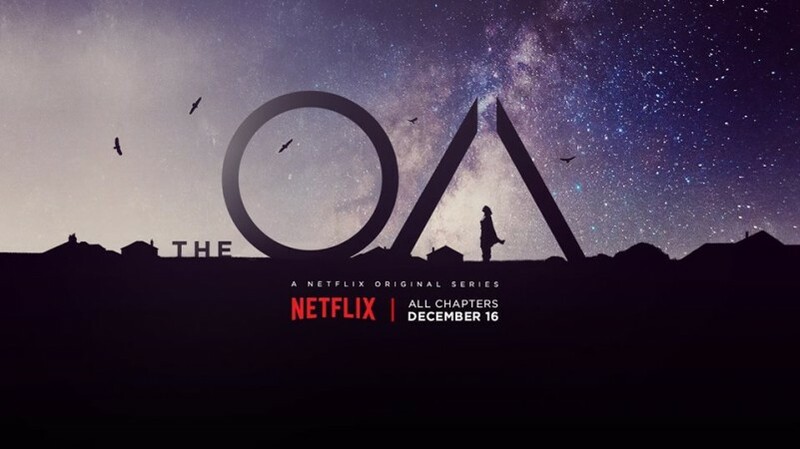 At number 3 in this list of Top 10 Netflix Shows 2017, we have The OA. This one on the lost is one of the Greatest 10 Netflix Shows 2017. In the internet it is described as the ‘mystery drama web series with science fiction, supernatural, as well as fantasy elements,’ but we all know that this series is much more than that. This series was recently aired on Netflix, to be exac the date was 16th of December , 2016. To this day it is really underrated as shows of such genre already exist in abundance. No matter what, this series is worth watching atleast once . 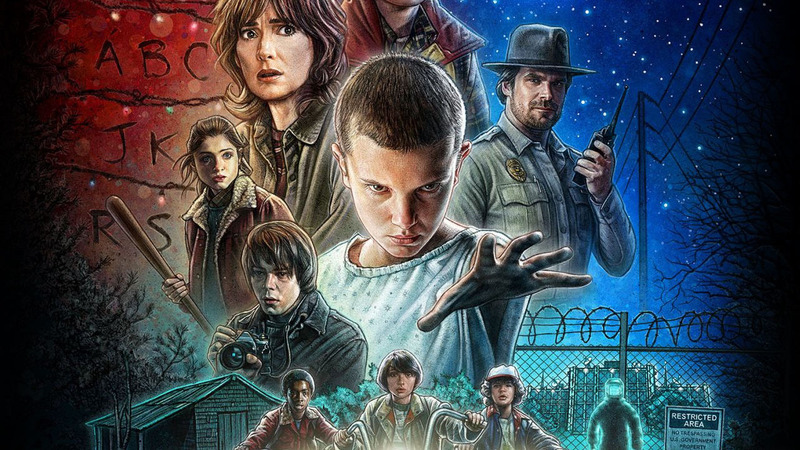 At number 2 in this list of Top 10 Netflix Shows 2017, we have Stranger Things. This one on the lost is one of the Extraordinary 10 Netflix Shows 2017. Get you popcorn bowl ready and start binge watching this series right now . The children in this show are smarted than most people combined . There are total 8 episodes and only one season is out till date. But Stranger things is going to amaze you to the core once you watch it . Everyone is talking about how great the cast is and how great the cinematography is , even the celebs couldn’t resist watching this amazing series. 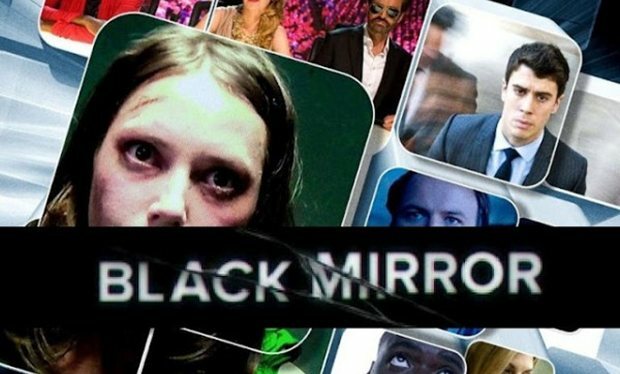 At number 1 in this list of Top 10 Netflix Shows 2017, we have Black Mirror. This one on the lost is one of the Incredible 10 Netflix Shows 2017. Black mirror is one of the hidden gems in the Netflix watchlist. While people maybe skeptic to watch it or may find the title uninteresting, here lies the masterpiece of a television series. This one is an original Netflix creations and is amongst the very best of the best. The show has had 13 episode till now , with one being a Christmas special . The first two series had 3 episodes each but the third one had 6. The genre is dark , thriller . A must watch for thrill seeking fanatics. Cristiano Ronaldo is a man of many emotions. And he wears his heart on his sleeves. He is never afraid to show the world how he feels, or simply let out his emotions, no matter someone is watching or not. We have seen his different sides. 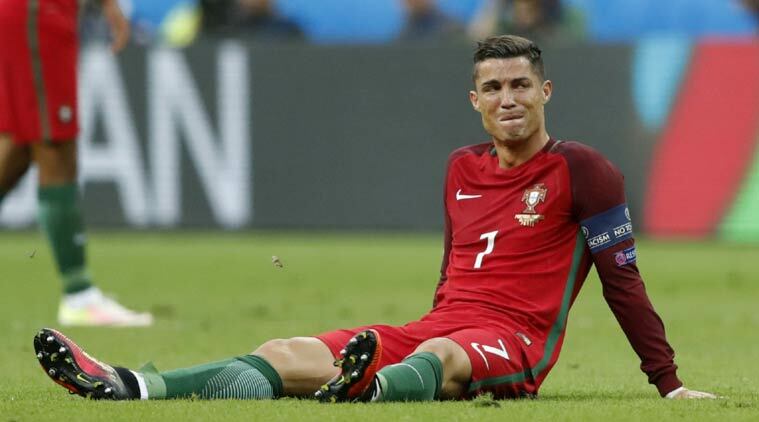 Just like his happy and angry sides, there is also an emotional side of Cristiano Ronaldo. And we have all been able to see it. Quite often. And it’s easy to understand that Ronaldo is extremely comfortable with his emotions. Ronaldo has often been angry with his fellow players, as well as with the stalkers, journalists, etc. As a result, he has always been media’s pet angry man. But, we have seen him smile from ear to er after a win, or when his son dressed as Superman has interrupted his interview. We have seen his funny side, playing praks on his friends and playing around with his teammates. We have also seen tears running streaming down from his eyes. 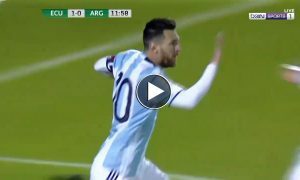 He has cried like a child in front of the camera on many ocassions – be it after a grand victory, or an injury that made him leave the field. social standards of hypermasculinity dictate that a man must never cry, because crying is believed to be a sign of pain, weakness, vulnerability and softness. Men are not allowed to such things, because these are believed to be characteristics of the ‘lesser beings’, i.e. women. But, the regular display of the emotional side of Cristiano Ronaldo, along with his caring and warm attitude, makes us realize that he is super comfortable with his soft and feminine side, and is secure about his masculinity. Only those who are insecure fear crying adnd showing their vulnerability. Being associated with one of the toughest sports in the world, there is no doubt about Ronaldo’s strength and power. He is a perfect slap on the face of those who say things like ‘cry like a girl’, or laugh when they see tears in the eyes of men. He is the perfect example of how it is absolutely ok for men to be in touch with their emotions.